While Nintendo’s E3 presentation had a good enough start - we saw some neat indie games, received more information on Pokemon Let’s Go Pikachu and Let’s Go Eevee, got our first look at Fire Emblem: Three Houses and Super Mario Party, and even saw the announcement of some ports of high-profile third-party games like Fortnite and Dragon Ball FighterZ - the real star of the show came at the end, with a 25 minute long look at the new Super Smash Bros. title. First teased during the May 8th, 2018 Nintendo Direct, we’ve finally received some concrete information about the new Smash game, titled Super Smash Bros. Ultimate, which is set to release on December 7th, 2018. The presentation came with a plethora of information about the game, with a detailed look at the game’s characters and system mechanics, with plenty of stages, items and assist trophies revealed along the way. After a brief introduction featuring Masahiro Sakurai, viewers are treated to a series of clips showcasing each character, including the first major announcement regarding the game’s roster: every character from throughout the entire series will be returning, including characters like Snake, Pichu and Young Link that only appeared in one game. On top of that, observant viewers may notice that while every other character was numbered based on when they were first introduced in Smash, this isn’t the case for Dark Pit or Lucina, who instead shared Pit and Marth’s respective numbers with an epsilon symbol next to it. This is because of the addition of echo fighters - a formal categorization for clones that only have small differences from the original character. For now, we don’t know what exactly this means for their place in the roster, but we do know who the game’s first new echo fighter is - Daisy! We also got a more in-depth look at the Inklings. Their specials and smash attacks use different weapons from Splatoon, including the splattershot as their neutral-special and an ink roller for what appears to be a side special. Any opponents who get inked by these moves take additional damage from the Inklings’ attacks, adding a dynamic element to the character. At the end of the presentation, we also got a look at Ultimate’s next newcomer: Ridley. While Sakurai has previously stated that he and his team couldn’t find a way to faithfully represent Ridley in Smash, it looks like that has changed, and impressively so. After the character showcase, we got a look at several universal mechanics - some of them new, others returning from previous games. Every character now has an attack they can use while climbing ladders, and all smash attacks can now be used while dashing. The most prominent returning mechanic is directional air dodges. Like in Super Smash Bros. Melee, holding a direction while performing an air dodge will make the character shift their momentum in that direction - though unlike Melee, this also comes with a small movement in the opposite direction beforehand. According to several players who got a chance to play the game at E3, no momentum is retained while air dodging into the ground, so while you can use this directional air dodge to waveland, you can't use it to wavedash. Dodges also now stale in Ultimate - the more frequently you use them, the longer the animation and the fewer intangibility frames you have. This applies to both air dodges and dodge rolls. Perfect shielding has also received an overhaul - it's now performed by lowering your shield right before a move hits. Author's Note: We'll surely be receiving more information about Ultimate leading up to its December 7th release date, so stay tuned. Until then, what was your favorite part of the presentation we saw? I don't care to go through the issues unprompted, but take a look at staling dodges: what is that a solution to? The spamming of dodges. What was that a solution to? The lack of mobility options like dash dancing and wavedashing. Sakurai just solved a problem that arose from a problem he himself created. What is this guy smoking. Yeah, yeah. Read on if you want my fuller thoughts. I said I wasn’t gonna get a Switch. Now I’m considering it again. Based off the videos ridley looks like another top tier. I keep going through the tier lists wondering how my play style and main will change as well as where the old characters will be on the new list. But by the looks of the air dodging and shield nerfs I may be able to play better since those who spot/air dodge spam always got on my nerves. Unfortunately I noticed Shiek and Zelda were always together which means looks like the old duo* ahem Shiek and an 8th will be coming back. 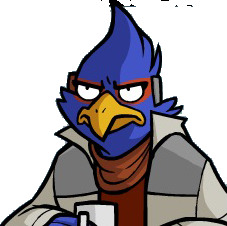 I swear if Zelda doesn't get a buff (Which it seems like she will with the loads of complaints she got for smash 4.) I will be furious and I may not continue my quest with Shiek. I also like the Inkling's recharge thing and various different weapons it whips out for its many attacks but in all honesty... it just seems like a recipe for another low tier. My old main (Link) may become my new main because the bombs new deactivation style excites me and it seems like duck hunt may be forgotten once again. If anyone else has hopes for this game I would love to know because I rarely played the older smash games. Looks like my prediction is correct. Meters for charging attacks, minimal new characters, and a combination of every smash game made. When the game comes out in December... GOOD LUCK HAVE FUN AND DON'T GET YOUR BUTTS WHUPPED!!!!!!!! The mechanics are purely superior if one is looking for a competitive game. But the kind of people who use "elitist" in this context aren't seeking that. They had me sold when they revealed Snake. Take my money Nintendo. Apparently it's not according to Tafo and some others. Dash dancing is basically useless and you really can't control the distance, like in Brawl and Sm4sh. It's more akin to fox-trotting than dashdancing. RIP the dream. This is sooo much to take in, it is nuts! I like it that they finally implemented a punishment to those who spam roll, which I bet takes inspiration from Kid Icarus Uprising's roll mechanic. Wavedashing not being here is a bit of a bummer, but at least wavelanding can be performed with it. The artwork of each character is simply astounding with detail! Can wait for the next reveal. wavelanding can be performed with it. Wavelanding is probably going to be useless because it incurs 20 frames of landing lag. If Sakurai changes this before release we will have a different story however. EDIT: Also no slide-off from platform, so platform movement is basically dead until Sakurai changes things. I'm still scared bayonetta may be stupidly broken but , I'm exicited that all past veterans are back though once again i'm also scared that we will get even less newcomers closer to release date but that's understandable now , i've been hearing that you can't walk through other players. I'm intrigued by some of the mechanic changes not listed here. Like dealing more or less damage depending on how many people are playing. This is going to make a HUGE impact on Doubles. This looks Awesome!!! Sakurai has outdone himself! She seems to be still strong, but indeed nerfed. I say the biggest nerf to her is that a lot of the stages (that seem to be tournament legal) seem to have it's upper blast zones extended. Green Greens had almost Flat Zone sized vertical blastzones, combined with Plup playing the largest character in the game... yeah RIP Plup lol. Either way, Sakurai hasn't finished developing the game, and is still working on balance in the meantime as well, with the invitational being a base. I don't think there is going to be much newcomers in the game, considering the roster size beforehand. So far, Inklings, Daisy, and Ridley are in. To be fair, your assessment of the new game pretty much boiled down to cherry picking one of the new mechanics and lamenting the absence of older ones like wavedashing, which was unintentional in the first place. The lack of it is not going to make the game lesser in quality. And developers solving problems that they've themselves created in a previous installment is not unusual. You speak as if this was a rarity in game development. Is not uncommon in sequels to have certain mechanics to be tweaked, toned down or even implement new ones as a response to balance them out. You can't blame people for calling you elitist for seemingly deciding that the game is trash for not being a copy paste of Melee's mechanics. I just really hope they don't neglect their own historic franchises. Takamaru already got shafted because we saw him as an assist trophy. I want more references to the SNES, I want Lip from Panel de Pon playable, as well as possible references to Battle Clash/Metal Combat, Stunt Race FX and Pilotwings. I'm not a big fan of the way characters are knocked back in this iteration. They have extreme initial velocity, then extreme deceleration once they hit a certain distance (based on percent). It just looks bizarre compared to previous titles. That's not what cherrypicking means. I could have picked anything else (I imply this in my post) and still have made the point that Sakurai makes bad alterations for competitve play. Read my post again because that wasn't the point at all, regardless of my personal stance toward wavedashing. The point is that Sakurai felt that there was problem which is obvious by looking at this solution. But he chose a solution that was arguably anti-competitive, and definitely so in comparison to his other options, among which are dash dancing and wavedashing. The lack of it is not going to make the game lesser in quality. It already has, specifically for competitive play. I'm not at all talking about casual play, which he obviously cares more about. Is not uncommon in sequels to have certain mechanics to be tweaked, toned down or even implement new ones as a response to balance them out. I don't know how common it is to discard a solution you stumbled upon previously and can see makes the game fun for a lot of players, but reject because it gives the player more freedom than you want them to have. I can blame them for calling me an elitist when they understand neither my post nor the differences between SSBM and every Smash game after. I was really excited for the new air dodge mechanics but now that you say you can't wave dash with them I'm disappointed. I really wish they excluded fraction damage, the game looks really cluttered with all the new gauges and other etc. not saying that they wont be useful, but the cosmetics are just a little odd. the game looks really cluttered with all the new gauges and other etc. not saying that they wont be useful, but the cosmetics are just a little odd. I think this was one of the better changes. It just seems obvious when you think about how other fighting games do it to include a gauge that shows how the character's special move is coming along. It would be weird to have a fart meter for Wario but ultimately this addition would make the game saner and bring it more in line with traditional fighters. I can agree with you though that they can't be lazy about fitting it into the Smash aesthetic. A change that I never saw coming but applaud at first glance is adjusting how Shulk changes forms. I wonder how smooth it is to do it in practice, but just caring about accessibility of his forms was nice. Unfortunately I noticed Shiek and Zelda were always together which means looks like the old duo* ahem Shiek and an 8th will be coming back. Nope. I saw Zelda summon a Phantom so I don't think that's the case. It would be especially odd seeing A Link Between Worlds Zelda transform into Sheik since she is from a completely different game. And why is it anti competitive? The new dodge mechanics were implemented to prevent excessive rolling. The problem when people say that something anti competitive, it carries a note of entitlement for not being catered to their personal tastes. I can definitively give you stuff like tripping and no hitstun, but no this. Not really. It has worked fine for Smash 4 and is not a must have mechanic in all Smash games. Because he didn't see it as a solution but an unintended side effect. And his reasoning for removing it was not prevent the player from having more freedom but from lowering the skill ceiling. You passed judgement on the new game immediately. If you intended for you to be understood better, you should have done a better job expressing yourself. From what it looked liked, the game is getting dismissed for not being another Melee. Melee is a great game, but it has affected its most avid defenders into closing themselves to anything that isn't like it. Have you noticed that this in an early version of the game or is common sense failing us today? The final version of the game is going to be different from what we saw and this is even indicated by Sakurai during the Treehouse Live. Knockback values and damage percentages are most likely going to change for the final build. We've seen this happen before. I would say that it is anti-competitive because it changes how the game functions as matches go on; it makes it unpredictable, random, or more based on chance. Take the stale-ing of moves as an example. You can't expect an attack to produce the same damage and knockback as you use it, so that it becomes either a guessing game as to whether the effect you desire will be produced if you succeed in landing the hit, or a game of intensive memorization, situation assessment, and recall to be able to predict what will happen and adjust play accordingly. The desire, I presume, was to be anti-spam, but in effect, it doesn't actually prevent spam. Hungrybox will continue to use bair in neutral for a stock until it becomes feasible to use something else, and it largely will still work. Zero continually used Mario's bair for the same reason. It doesn't actually stop spam; just provides players with an inconvenience they're forced to deal with. Instead, the focus should be on making sure everyone has tools that do their jobs well and work well enough with one another to provide their players with toolboxes that neither require the repeated use of just a few tools, nor leave one unable to deal with another player who chooses to rely on a small number of tools. tr4sh got this wrong by making shields and rolling stronger in relation to other options by nerfing those other options. Rather than buffing those other options, he felt it necessary this time around to nerf shields and rolling too. If part of what it means to be competitive is giving players the options and freedoms enough to win the game in multiple fashions and creatively, then Sakurai's changes, I would say, are anti-competitive (if not just downright lazy or spiteful). And his reasoning for removing it was not prevent the player from having more freedom but from lowering the skill ceiling. If that was the actual reason, he could have (I hesitate to suggest "would have") made them easier to perform, or provided tutorials that were easy to understand for less experienced players. But he did not do this. You passed judgement on the new game immediately. Yes. Not everything is as ambiguous as you all suggest to necessitate waiting to pass a verdict on certain things. If you intended for you to be understood better, you should have done a better job expressing yourself. I implicitly invited dialogue with my note "I don't care to go through the issues unprompted...". There's no need to express it any simpler. From what it looked liked, the game is getting dismissed for not being another Melee. Look, I'm not trying to be mean to anyone here. What I want is a fantastic Smash game; and after seeing what fans can make possible through modding, I'm disappointed that Sakurai fails to take note. My personal opinion is that I would pay for Melee 2.0 or an official Brawl Minus. tra5h is neither one of these things, and so deserves criticism in my eyes. I've been criticizing it along the Melee lines but I could do the same along the Brawl Minus lines, just not right now since that requires us to see how gameplay of characters has changed. If he kept tr4sh Dedede, then his games deserves to be pooped on. I have nothing against Sakurai as a man. As a game designer I see him as pathetic in many ways. This kind of reply is nonsense. It implies that we can't criticize flaws we see now because supposedly the developers already view them as flaws and won't leave them in in the final build---which is mistaken. They need to be made aware of what is not going to fly in the fans' eyes. For all we know, Sakurai thought the way knockback is working right now is great. The final version of the game is going to be different from what we saw and this is even indicated by Sakurai during the Treehouse Live. I'm sorry, did he mention any specifics? No. Knockback values and damage percentages are most likely going to change for the final build. We don't know this. This is a man who felt removing DACUS was a good idea. The desire, I presume, was to be anti-spam, but in effect, it doesn't actually prevent spam. Hungrybox will continue to use bair in neutral for a stock until it becomes feasible to use something else, and it largely will still work. Zero will continually used Mario's bair for the same reason. It doesn't actually stop spam; just provides players with an inconvenience they're forced to deal with. And kudos for that, dude. Indeed it does. It also has old mechanics, like rage. I wonder what your point is. Good thing it isn't and is a non-issue this time around. He fixed that mistake a long time ago, yet more remain untouched, evidently. It's 2018 and people are still using this as an argument. How would you feel if people with lower standards than yourself were pleased by the developers of a game you really like putting out a lower quality product than you absolutely know they could have produced, yet then try to silence criticism of that product by appealing to "real fans" arguments and telling you to just accept the changes and buy the game or not? Because that's exactly what you just did. Yes it is, and yes they did. Zero definitely used it against MK Leo in grand finals. Been busy all day today, only had time to watch the reveal... I appreciate your response, data on my phone is kind of crappy... Was the tournament good? From what I saw, it wasn't shot like a tournament. I wasn't watching the whole thing all the way through. I went back in time to the end of the Splatoon 2 tournament and scanned from there. What I saw was a lot of Doubles matches with a lot of random character picks. Somehow, out of all the Melee players, no one picked Fox, which I found disappointing. They had a little skit where Nairo went against three casuals in a 3 on 1 versus. The only single matches of the tourney I saw were Plup and MK Leo Loser's Finals and Grand Finals. It was pretty lame, especially since Plup got washed by Bayonetta.